Cultivate Marketing Group a full-service agency specializing in branding, advertising, graphic design and website development, specifically for the Garden industry. We love what we do and our work is impactful. Cookie-cutter designs? Not even in our vocabulary. Creativity is all about providing a memorable experience for your customers. Whether its a business card or an intense product catalog, the quality and uniqueness of that product should always be at its best. Regardless of your business concept or product, encouraging customers pay attention to your brand is a major part of the equation. Appropriate branding and effectively turning ideas into unique designs has always been one of our many specialties. Our team will work with you to create/improve visual appeal, capable of capturing your customer base. Sean Kenney's "Nature Connects" is an exhibit that has beautiful, life-size sculptures that are made entirely from LEGO bricks. 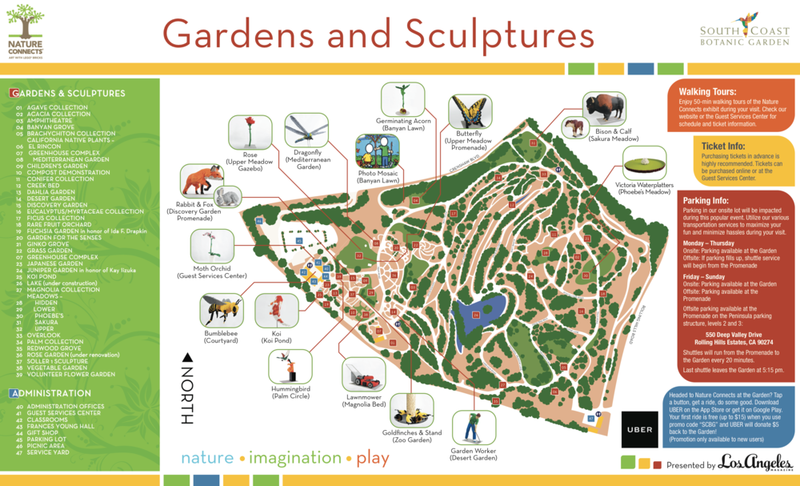 From February - May 2016, the exhibit was going to be at the South Coast Botanic Garden. We designed and implemented every aspect of marketing for this campaign. From logo design, social media advertising, brochure/map/flyer/postcard creation (pictured above) to way-finding signage, email blasts, and promotional products.